Look, we love Scandinavian flat-pack furniture just as much as the next set of guys. We really do. But sometimes, cramming a solid menswear rotation you’ve spent years cultivating into an MDF box knocked up in one Sunday afternoon feels a bit like driving a Citroën Saxo in a Tom Ford suit. Your clothes deserve better. While the chances of most of us appearing on MTV Cribs, and thus owning any of these ballin’ wardrobes, are about as slim as, well, being able to put up a piece of flat-pack furniture in one afternoon (srsly instructions? ); we can hope. And dream. And cry. And curl up in a ball. And sob. But we digress. 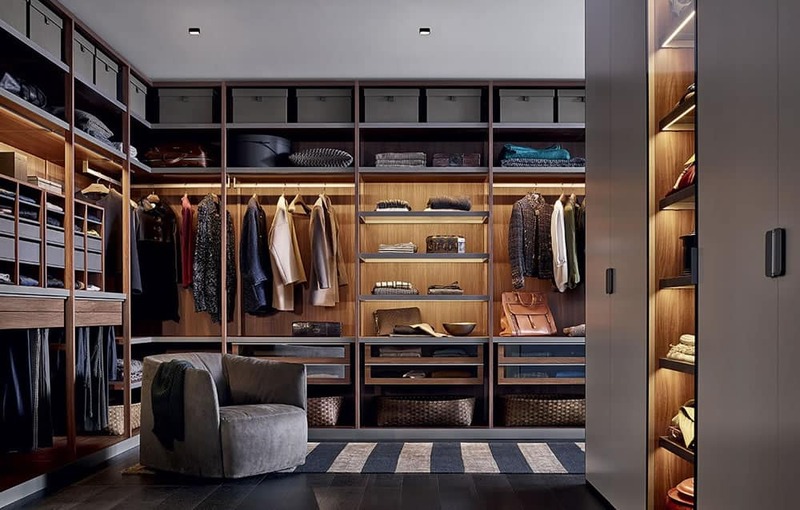 For the ultimate in sartorial storage spaces, scroll down to see 25 of the coolest wardrobes on earth.